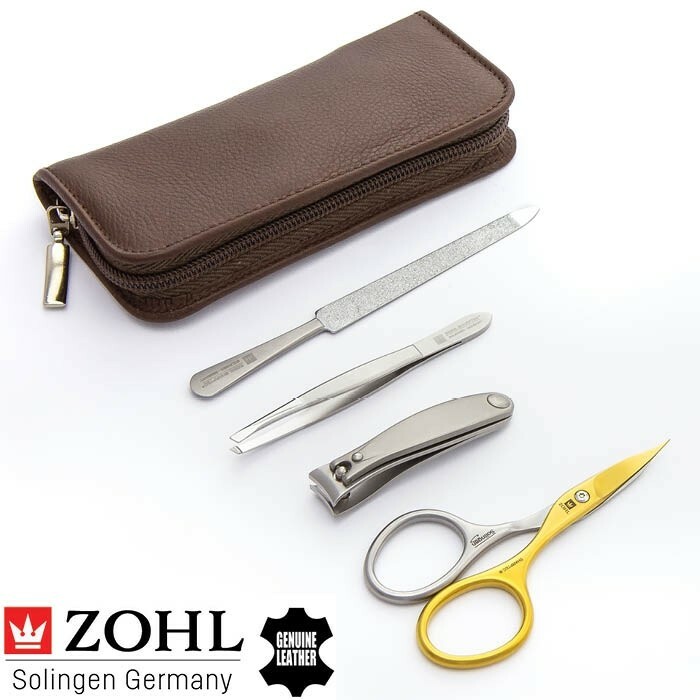 Luxury Solingen manicure set Premier by ZOHL is a special creation for those who like to make smart investments into long lasting durability and enduring sharpness of the cutting edge – inherent characteristics of the world's best manicure sets. 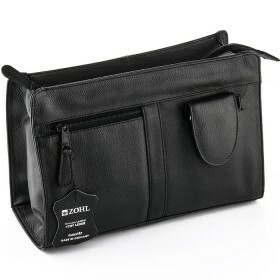 Its instruments are crafted in Germany from surgical stainless steel and manually honed. This allows SHARPtec tools retain original sharpness and precision of the blades for many years without any need of re-sharpening. For added benefit, the SHARPtec Duo manicure scissors feature self-sharpening effect thanks to the titanium blade, which re-sharpens the other blade with every opening and closing of the scissors. 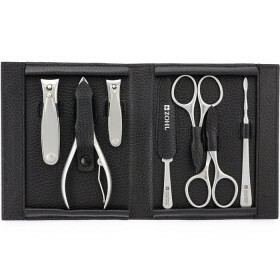 Complete with 4 professional manicure instruments, the Premier makes a perfect gift for Christmas, Birthday or any other occasion where Top Quality is a must. 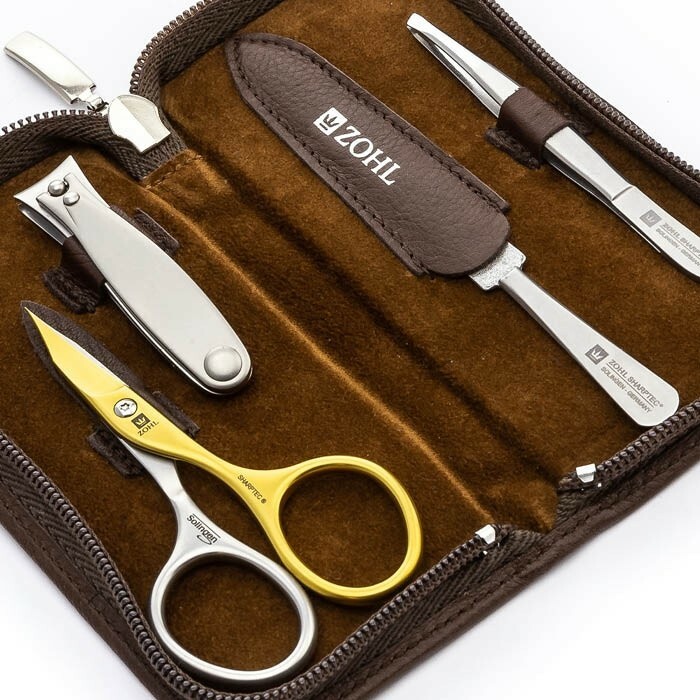 The highest quality manicure set Premier is hand crafted in Germany for those who trust their hands to the world's best nail cutters. 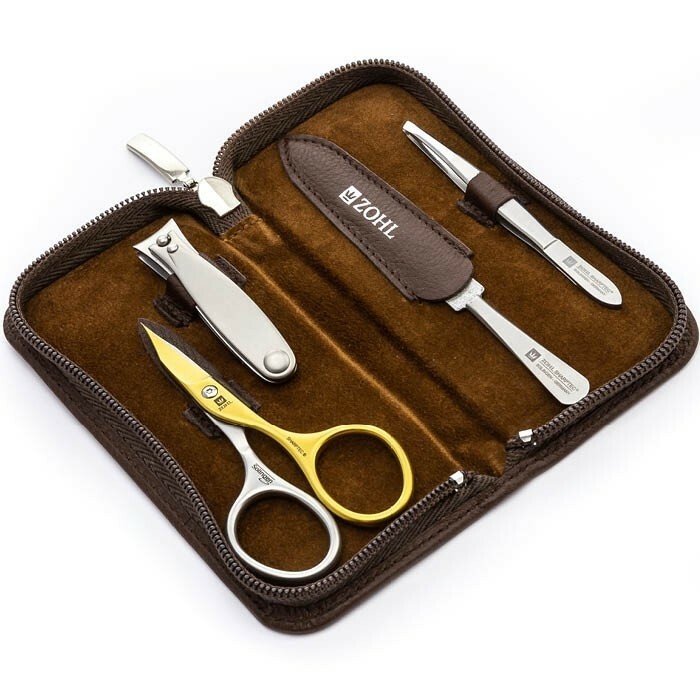 Handmade in the German city of Solingen by master craftsmen, its professional nail tools delight with perfectly sharpened cutting edge that stays primed for many years without any need of sharpening. 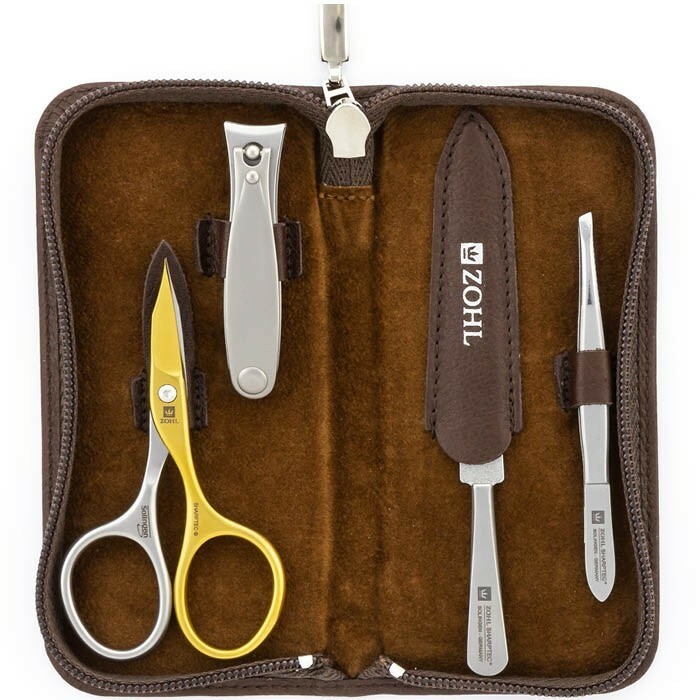 This is possible thanks to specially hardened surgical steel and manually honed blades – the artisan workmanship that creates highest quality nail clippers, scissors and cutters when it comes to superior cutting properties. 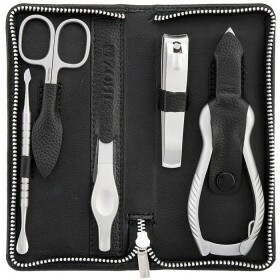 SHARPtec Duo nail scissors represent the best professional manicure scissors and boast self-sharpening blades that make them last twice linger without any need of re-sharpening. 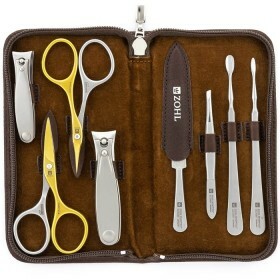 Advanced design for the most comfortable handling makes them a gem for the lovers of the finest, sharpest and most durable nail scissors. 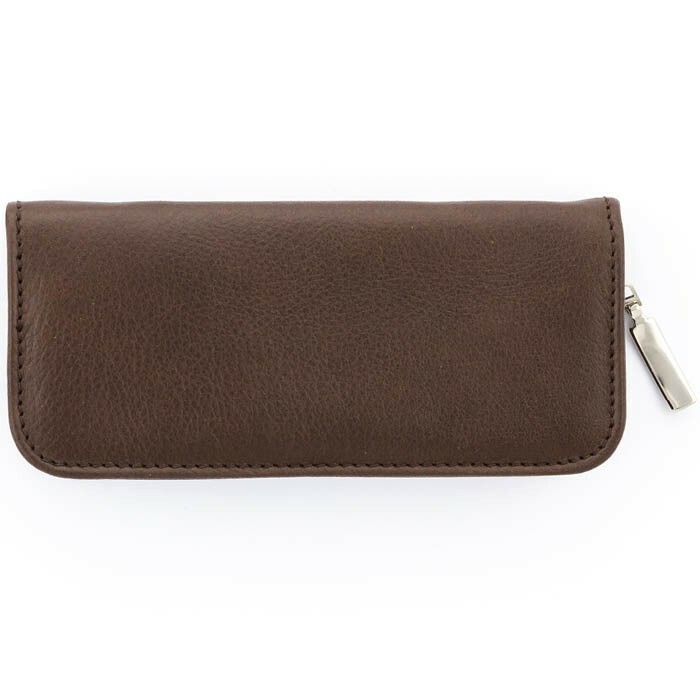 Luxury brown leather case secures the tools in individual pockets and protects them from dirt and damage for long lasting service. 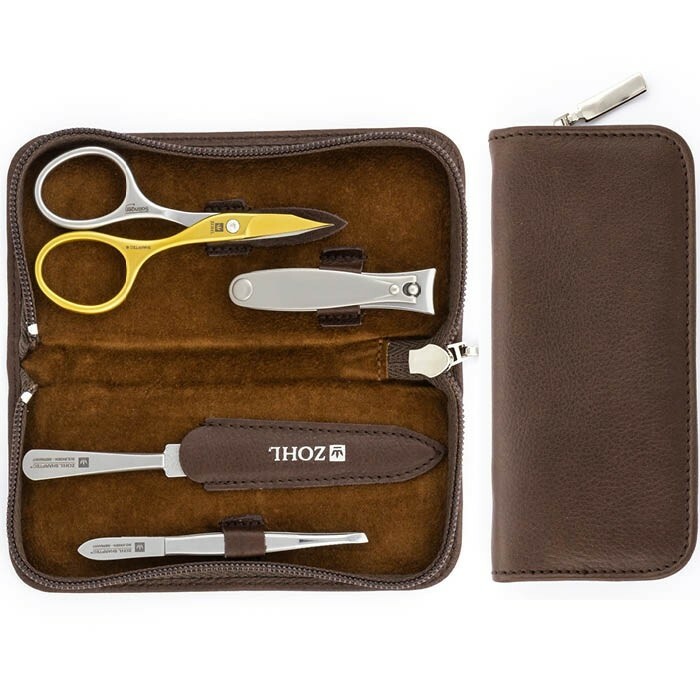 Compact and lightweight, the Premier is a perfect travel manicure set which will delight with immaculate cutting and precision of its tools, to help you look your best while being your best. 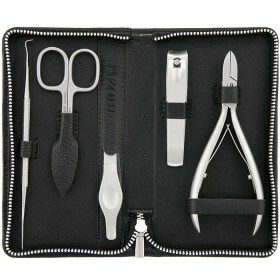 Slant Tweezers (9cm) – the best eyebrow tweezers that outperform any high quality tweezers, according to our customers. 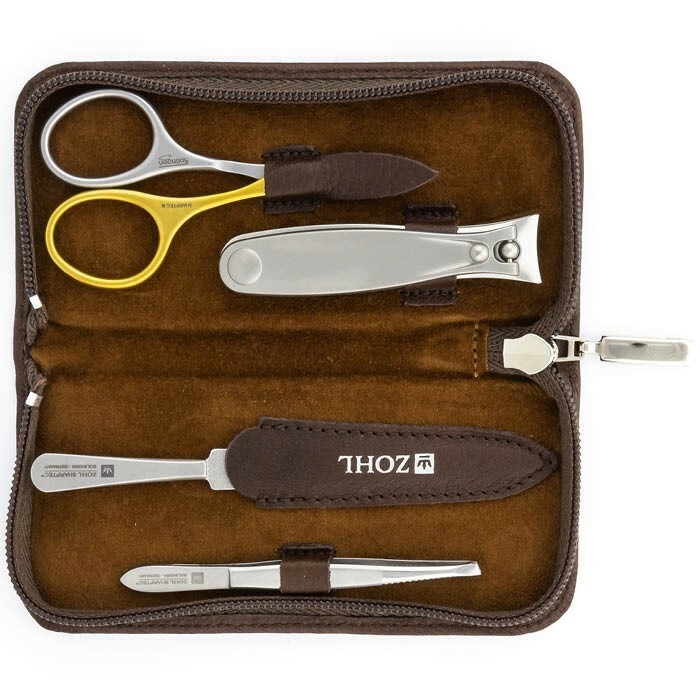 The Premier with SHARPtec Duo Scissors is a smart investment for those who need the best manicure manicure set that will give them a lifetime service without frequent replacement or worry about broken nails.